The Michigan Window Tint Law is very restrictive and not friendly to tint shops and drivers seeking to avoid the sun's extreme heat and damaging rays. You will find what the statute outlines for drivers in Michigan here. 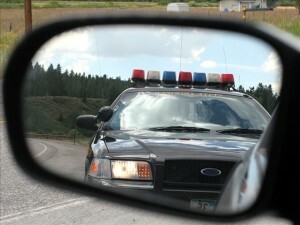 Because it is restrictive in nature, many people try to test the bounds of legality by tinting their vehicle illegally. This is not wise as it draws attention from law enforcement vehicles and can result in hefty fines to the driver of a car tinted beyond the legal limit. The state of Michigan also allows for a medical exemption. As always, DT Services Window Tinting always suggests to our clients that only legal window tinting should be installed and that residents of Michigan follow the Michigan window tint law. Basically, the Michigan window tint law will not allow for tinting to be applied to the front windows of a motor vehicle if it is darker than a 50% tint. Behind the front seat driver and passenger you are allowed to tint the windows as dark as you want. There is also a 3% tolerance when the film is metered by law enforcement officers. If you drive into Michigan but plate or register your vehicle in Indiana, you are subject to Indiana law and could argue that it is not a violation of the Michigan window tint law to merely drive through their state with your window tinted in a way that conforms to the Indiana statute. If you really want to see the Michigan Window Tint Law, it is here for you in the next paragraph. But be warned, it's difficult to understand. (c) An object that obstructs the vision of the driver of the vehicle, except as authorized by law. The Michigan window tint law is very clouded with legal jargon and language to confuse you and satisfy the legislature - as they are the only ones who actually talk like this. That being said, if you live in Michigan be advised that you are subject to the Michigan window tint law and we suggest you follow it to a tee. So put 35% on the top four (4) inches of the front two doors, 35% on the rear doors and rear window, and you should be in compliance with the Michigan window tint law. This represents our current understanding of the current Michigan Law on window tinting and should not be relied upon solely as an absolute rendering of the law. DT Services Window Tinting LLC is not responsible for inaccuracies found in the above information and is not liable for incorrect understanding of the above information contained on this page. Please consult an attorney if you want the most complete and accurate understanding of the Michigan window tint law.